I know, I know! The Chanukah tradition is to fry foods in oil, but I couldn’t resist the challenge to try something a bit healthier on a holiday filled with deep-fried jelly filled doughnuts and pan-fried latkes of all sizes and flavors. I did hop on the fry-train for a bit with my Stuffed Reuben Latkes and Eggnog Cranberry Rice Fritters but I’m back off now and the vegetable oil is taking a much needed break. 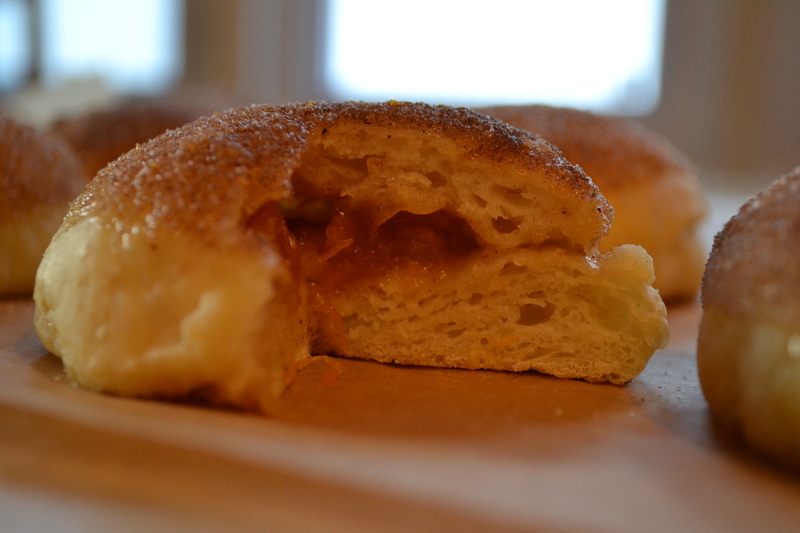 Hopefully my waistline, which is still trying to remember what life was like before two children, will thank me for this baked doughnut filled with fresh apricot and plum preserve. Dough takes time but it’s totally worth it! I transferred the dough to a well-oiled bowl, covered and let it rise for 1 hour. Once it doubled in size, I punched down the dough, covered, and let it rise for 1 more hour. I then placed the dough in the refrigerator and let it sit overnight to develop the flavor. 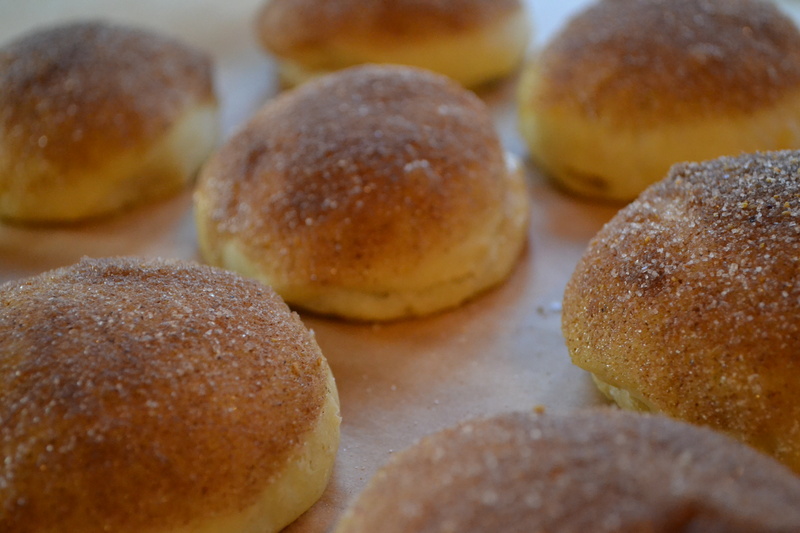 If you are pressed for time, you can skip the fridge and just get started on baking the doughnuts. 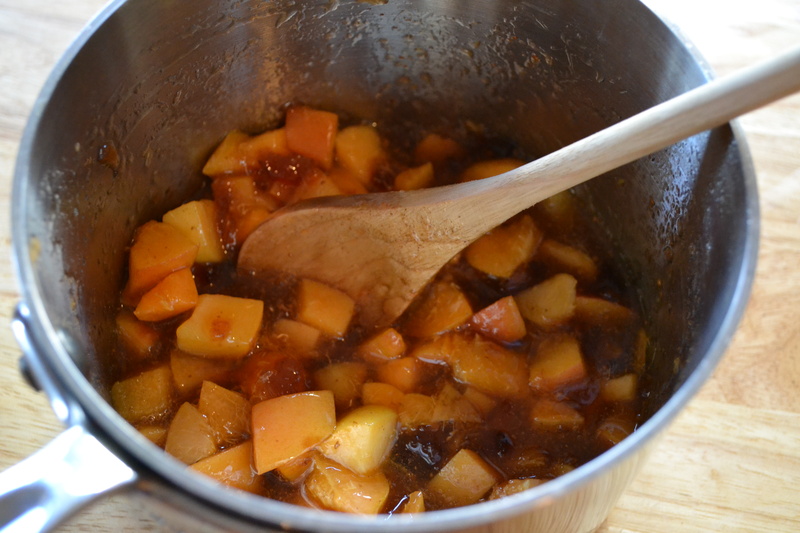 In the meantime, I made the simple Apricot-Plum Filling. You can use whatever filling you like but I do love a homemade preserve. 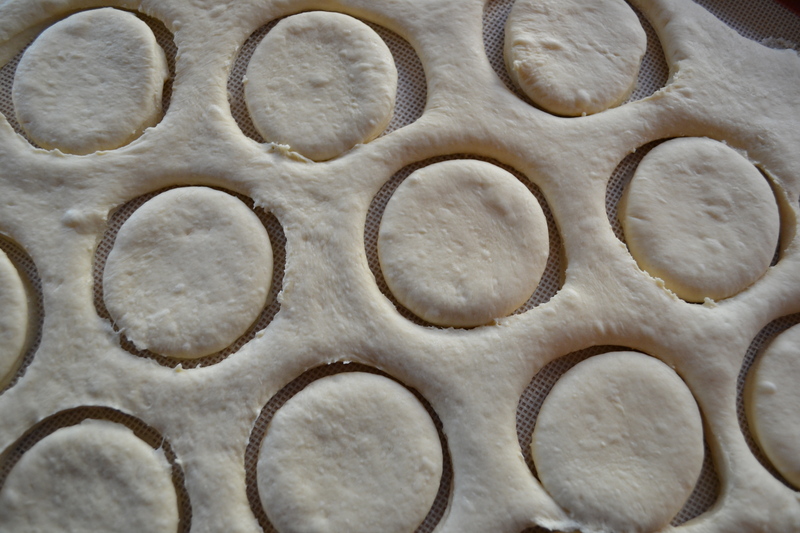 When the dough was ready and the filling was cool, I rolled to 1/2-inch thick on a lightly floured surface. You can use a cookie cutter or a drinking glass to cut out the doughnuts. Whatever works! I placed half of the dough rounds on a cookie sheet lined with parchment paper and dropped teaspoons of cooled apricot-plum filling in the center. 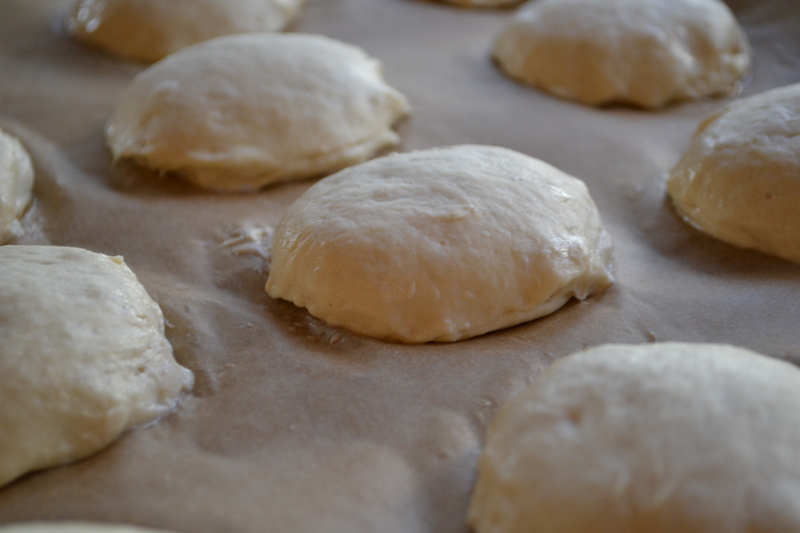 I brushed the edges with milk (you can also use water) and placed another round of dough over and pressed to seal tightly. You don’t want that delicious filling escaping! I baked the doughnuts at 375 degrees for 12-15 minutes, until the bottoms just turned brown. But hey, if you want to fry, go ahead and FRY! The results were exactly what I was hoping for! Chewy AND crispy, all without the added oil from the deep-fryer. The dough was surprisingly mild and not too sweet, which makes it a great dessert after a heavy holiday meal. You can stuff these doughnuts with any filling or combination of fruits you want and enjoy them year round without the guilt. Enjoy! Tip: If you have any extra dough, you can make some challah rolls to use for french toast or even bread pudding (my favorite). Just cook for 25-30 minutes at 375 degrees. Warm up the milk in a saucepan over medium heat then add the vegan butter to melt completely. While the milk mixture cools to lukewarm, sprinkle the yeast over the warm water, whisk and let it dissolve for 5 minutes. The top has a layer of foam when it is ready. 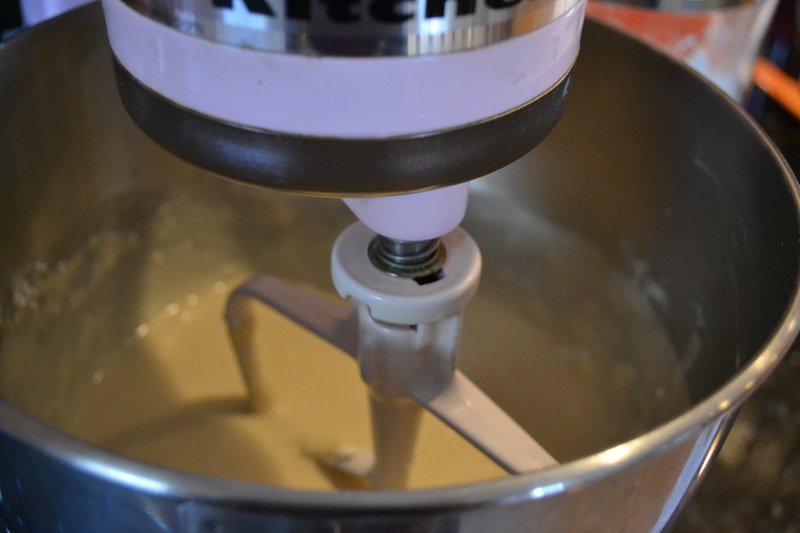 In a stand mixer, incorporate the milk mixture with the yeast mixture. Add the eggs, sugar and half of the flour. 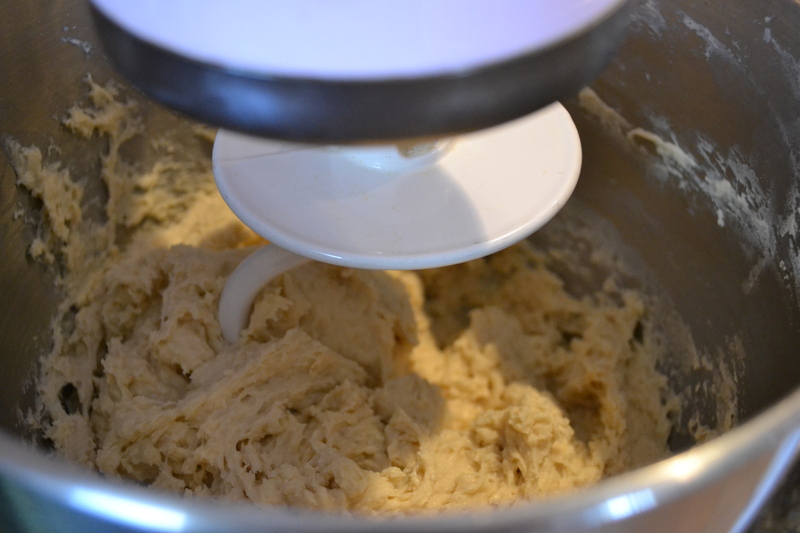 Using the paddle attachment, combine the mixture on low-speed until the flour is incorporated and then turn the speed to medium and beat until well combined. Add the remaining flour and beat well. 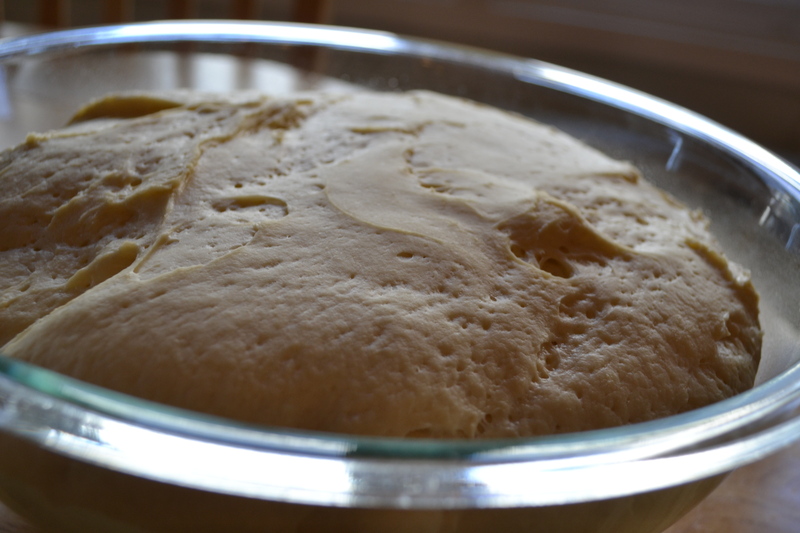 Transfer the dough to a well-oiled bowl, cover and let it rise for 1 hour. Once it doubles in size, punch down the dough, cover, and let it rise for 1 more hour. Then place the dough in the refrigerator and let it sit overnight to develop the flavor. If you are pressed for time, you can skip the fridge and just get started on baking the doughnuts. 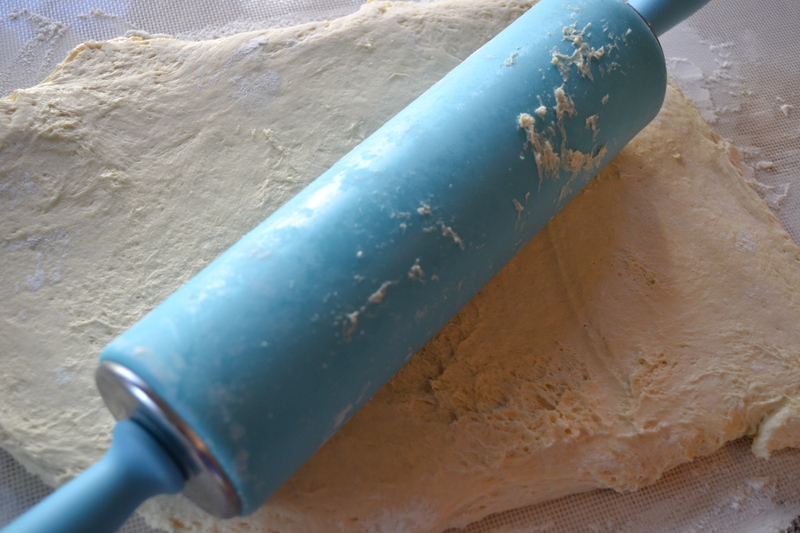 When the dough is ready and the filling is cool, roll to ½-inch thick on a lightly floured surface. Cut out rounds using a 2½-inch wide drinking glass or cookie cutter. 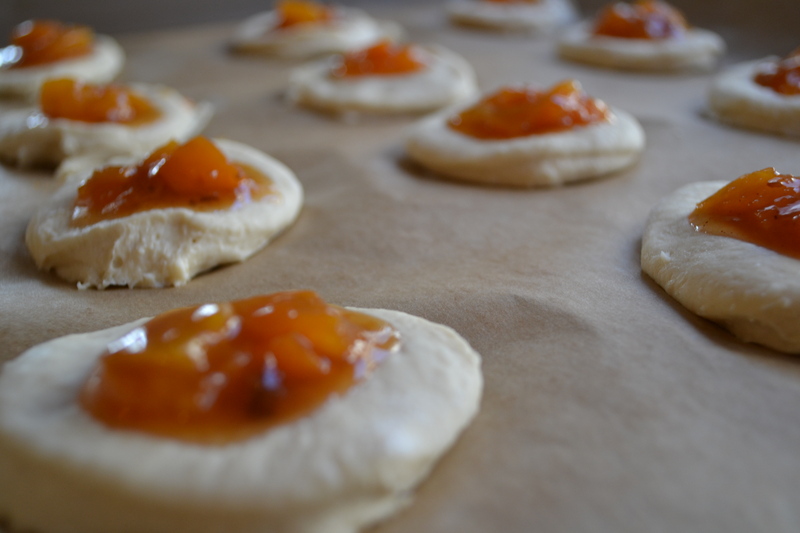 Place half of the dough rounds on a cookie sheet lined with parchment paper and drop teaspoons of cooled apricot-plum filling in the center. Bake the doughnuts at 375 degrees for 12-15 minutes, until the bottoms just turn brown. While the doughnuts are still warm, dip them in some melted vegan butter and coat in the cinnamon sugar mixture. Note: these doughnuts can absolutely be fried! 122 Comments on "Apricot-Plum Baked Doughnuts"